Today is the “Day of the Käsekrainer”, one of Viennas most loved fast food! You find it at every Würstlstand around the city and even in some Beisls. Ok, what is a “Würstlstand” you might wonder? 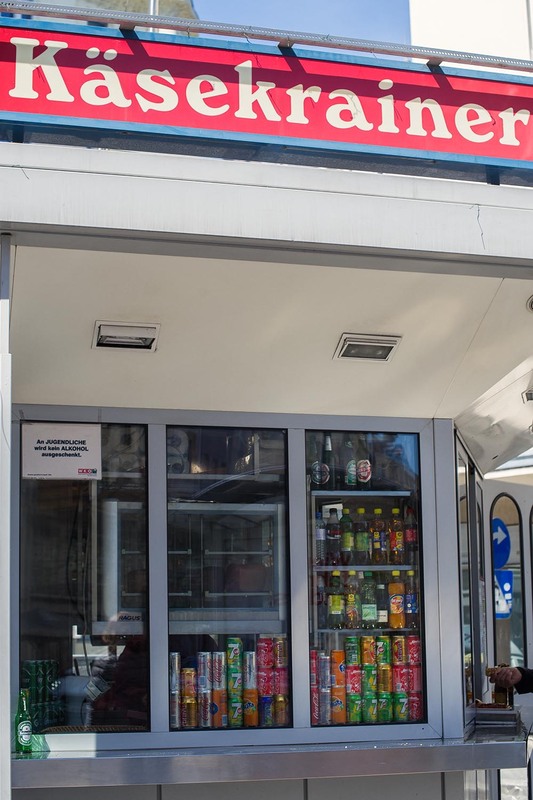 It´s the austrian (viennese) version of street food, a little outlet/stand selling different sausages, Leberkäse (meatloaf), soda and beer and some sweets like Manner Schnitten. Initially Würstelstände were “movable stalls created during the period of the Austro-Hungarian Empire to provide a source of income for disabled veterans”. (citation from Wikipedia) In the 1960is the stands became stationary. Back to the sausage of today: Käsekrainer, which is a sausage filled with cheese, grilled or cooked, served with some dark bread and hot mustard. 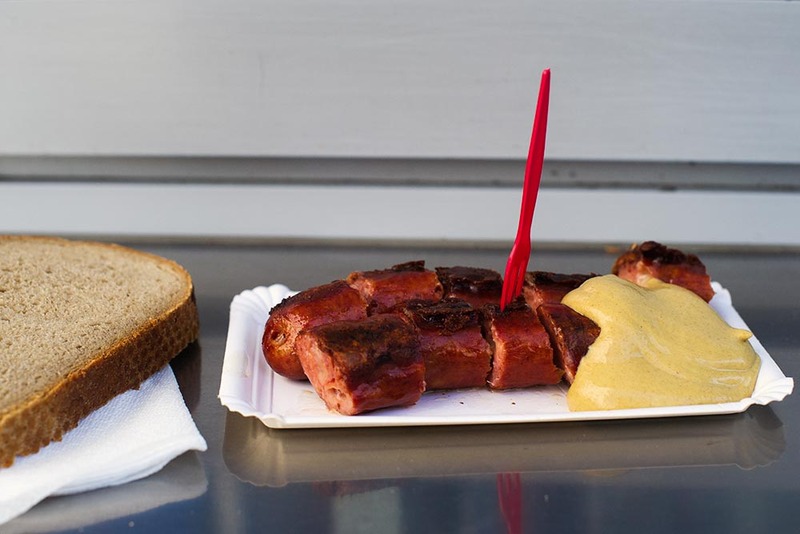 Another way of serving is as a Käsekrainer-Hot-Dog: a hole is poked in a bun of white bread (almost like a french baguette), filled with hot mustard (or/and sweet mustard, ketchup) and the sausage. If you feel really confident in you viennese, you might order a “A Eitrige mit an Schoafn, an Bugl und a 16er-Blech”, which means one Käsekrainer with hot mustard, the end piece of a dark bread loaf and a can of Ottakringer beer.